A crucifix standing on the top of the rocky shores of Appeli on Greece’s island of Lesbos, was destroyed by unknown vandals on Sunday night. 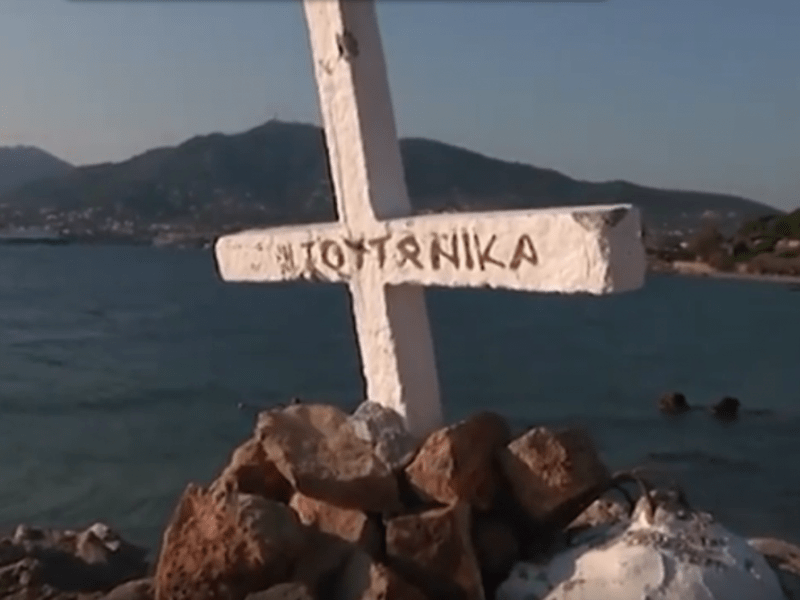 The cross was reportedly built in honour of the refugees who died at sea, footage from Wednesday shows the reaction of locals to the vandalism. The cross that was built back in September had caused a reaction from a local association claiming that it disrupts the balance of cohabitation between locals and refugees of other religions that live on the island. Despite the outrage of several groups, some locals feel outraged with the vandalism. Local residents used rocks from the area to get the cross standing again. They say that it is a temporary measure and that a large cross should be put up in its place. The Christian Cross that was taken down in Lesvos after co-existence groups claimed it was offensive to non-Christians on the island, has been raised again by locals who were outraged it was pulled down. As reported by Greek City Times this week, the large cement Christian cross, which was built on the rocky shore of Apelli, under the castle of Mytilene in Lesvos, in honour of people that have lost their lives in the shore there was pulled down as a co-existence group based on the island claimed it was offensive to migrants who are not Christian. “This act is illegal, unsightly (reminiscent of a grave) but mostly offensive to the symbol of Christianity, a symbol of love and sacrifice, not racism and intolerance,” wrote the NGO Group to the island’s Mayor. Locals were outraged the Cross symbolising Christian faith was pulled down and said it’s unacceptable behaviour as the majority of people who reside on Lesvos are Greek Orthodox. “That is an act of hate, whoever did this used a heavy object to deliberately pull it down,” said local resident Stelios Agas. Locals who have just used rocks and pebbles to lift the Crucifix said they are now going to raise money to have the holy Christian symbol reinstalled properly. When are you people in Europe going to understand that your breathing offends muslims. When you ALL STOP breathing the MUSLIMS will then be satisfied. Sharia Law states that any land that once Islamic is always rightfully Islamic. Therefore, all those “refugees” have a right to be there and the Greeks need to remember their place.